The Walking Dead is just bloodletting left and right. After Andrew Lincoln (Rick Grimes) left the show last year, it appears that another fan-favorite is on the way out. According to The Hollywood Reporter, Danai Gurira, who plays Michonne, has signed a deal for the tenth season of the show but it's a deal that signals the end of her time with The Walking Dead. At least, the main show anyway. 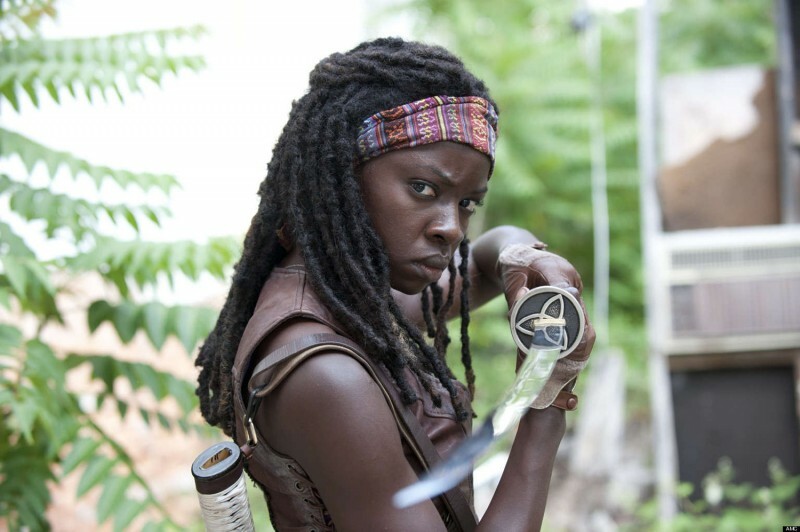 The report hints that Gurira's Michonne could "cross paths" with Lincoln's Grimes once more in one of AMC's slated spin-off films focusing on Grimes. The new of Guria's departure comes shortly after her well-received role in Black Panther as Okoye. You can read the full report here. For more on Michonne, check out our review of the last episode of Telltale's mini-series focused on the character.